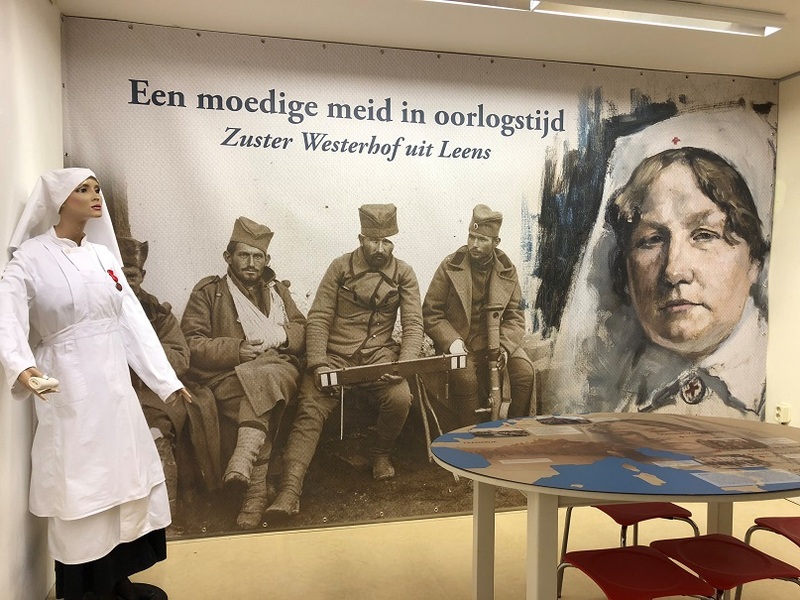 An exhibition "The Brave Woman in Time of War - Nurse Westerhof from Leens", dedicated to the Red Cross nurse Ailke Westerhof, who was in Serbia during the Balkan Wars and at the beginning of World War I, was opened on October 19th, 2018, at the De Marne Library in Leens. Ailke Westerhof was a member of the medical team of doctor Arius Van Tienhoven, who made a great contribution to the establishment of not only a military hospital of the Serbian army but he also wholeheartedly assisted the civilian population, and participated, as a Commission member, in the investigation and documentation of war crimes perpetrated by the Austro-Hungarian Army. 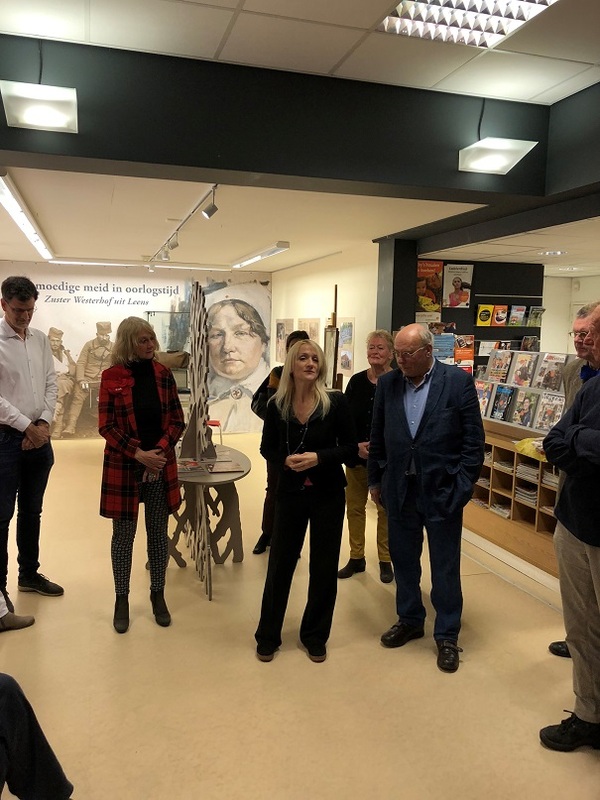 Marija Bošković, First Secretary, spoke at the opening of the exhibition and underlined the courage and generosity of Ailke Westerhof, because it was unusual for a woman at the beginning of the 20th century to go to the war zone in a country that was little known in the Netherlands. She presented a badge with Natalie's ramonda and black-green ribbon, explaining that it symbolized the Albanian memorial, i.e. the retreat of the Serbian army through Albania. The badge was on display in the Library in a glass cabinet containing the medical bag that belonged to nurse Westerhof.